At titeli, we believe that every child has right to life and well being. 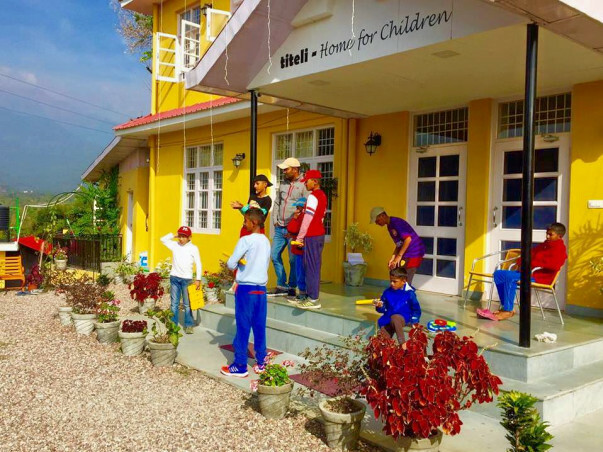 titeli - Home for Children is an orphanage Registered under Juvenile Justice Act 2015 with H.P. Govt. (Women and Child development department). 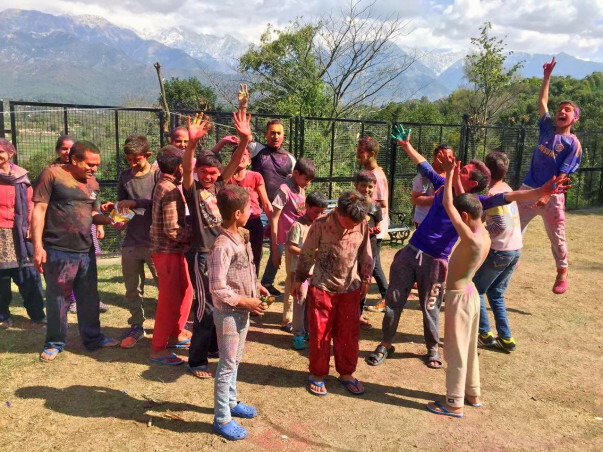 We are situated at a small village called Samula in Palampur, Kangra, H.P. 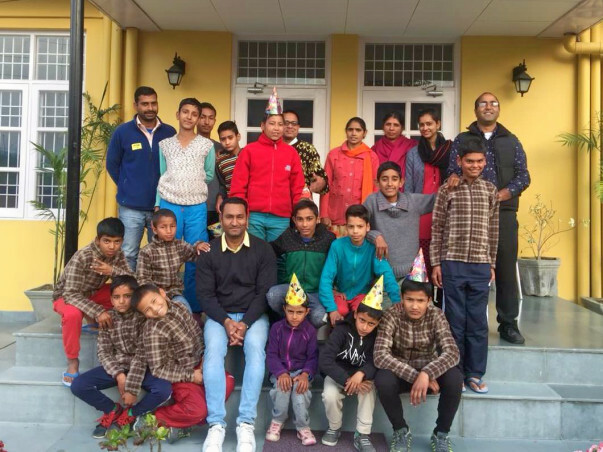 On 19 January 2017 the first three children came to this home and since then we are serving children in need of care and protection. We have children from the age of 6 to 14 at present. The total number of children changes when some children are integrated with their roots or transferred for foster care in individual verified families by Govt. and similarly number increases when new children are sent to this home found by police or child line. 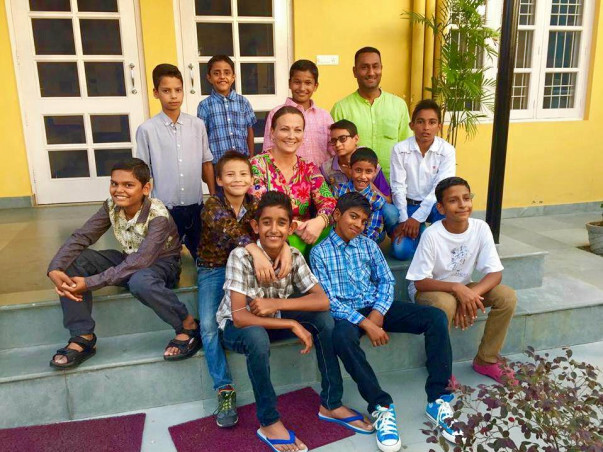 As on 22 Feb 2018 there are 15 children at the home. The day to day operation to take care of children and to provide all the children with education, food, medication, clothing and other necessary items for holistic development, requires financial support. 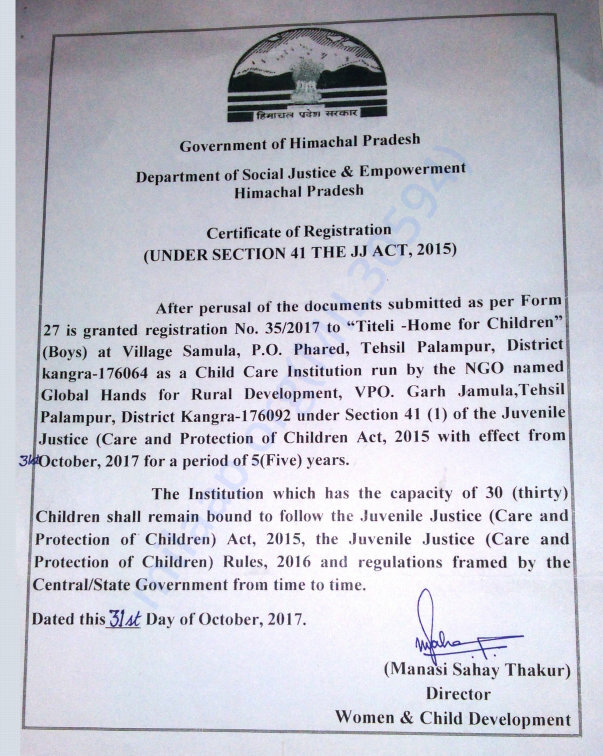 In average there is need of 9704/- INR per child per month for serving the child with required supplies and facilities as per set parameters by Government under Juvenile Justice Rules 2016, which we adhere. Under mentioned is an cost breakup of funds being used on children at present. The funds collected here will be used on food, education, medical needs, vocational training, day to day personal hygiene items for children in need of care and protection. The project is donation based and therefore your contribution will enable us to serve more and more children. Please write to us at info@titeli.org for any queries. 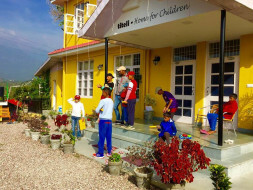 There are children at titeli who need 3 meals plus evening mini meal every day, educational support, medical attention and recreational resources on daily basis. All these arrangements requires finance on regular basis, therefore the money withdrawn from this campaign will be used for meals, medical and education needs of children. Good luck guys. You are doing a great job.